The Itasca County area is a popular place for panfish fishing, but some anglers are concerned about the potential decline in quality-sized panfish. After reviewing lakes with good panfish potential, changes to reduce sunfish bag limits to five were proposed for six lakes: Dixon Lake, Blackwater/Jay Gould, Cut Foot/Little Cut Foot, Splithand, Little Splithand, and Sand (near Max). In addition, reduced bag limits of five crappies were proposed on Dixon, Sand, and Splithand. Three of the sunfish proposals and one of the crappie proposals will be implemented beginning in March 2012. 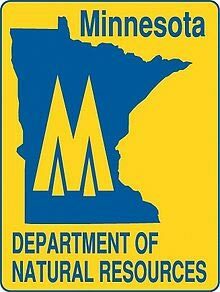 The Minnesota Department of Natural Resources (DNR) received public input this fall as part of a review for the proposed regulations. Strong public support for implementing the sunfish regulation was documented for Dixon, Splithand and Little Splithand, according to Chris Kavanaugh, the area fisheries supervisor. On the other waters, public support was limited and comments indicated a concern about the effect on resorts and questioned the need for the change at this time. Support for the crappie proposal on Splithand was strong and the regulation will be implemented. The level of support for Sand Lake was limited and identified concerns were similar to those expressed for sunfish. At Dixon Lake, public support was strong, but additional biological data collected since the proposal was made indicates the population may not benefit from a regulation and the regulation will not be implemented at this time.